This section shows the information relating to the live data coming from the connected RT LIVE units along with the real-time map updates. 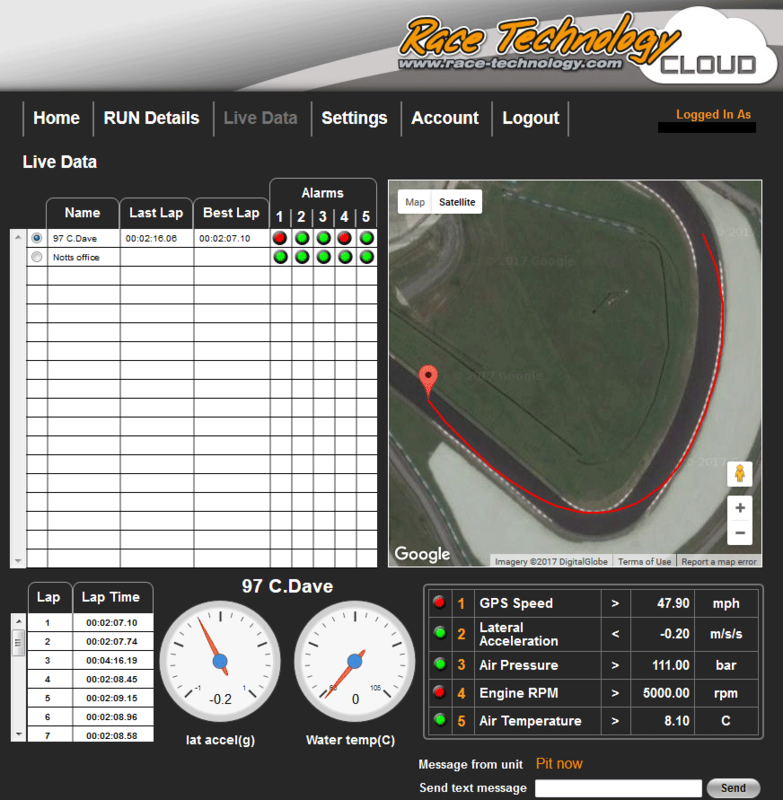 The displayed data includes lap timing data and alarms. Note that the data displayed on this page can be configured using the Settings Tab of the web page. To view real-time map updates along with related data, first select a unit from the unit list in the unit list table. This page shows the messages from the RT LIVE unit and also you can send text message to the unit. The two dials in the page can be configured to have different variables form the settings page.